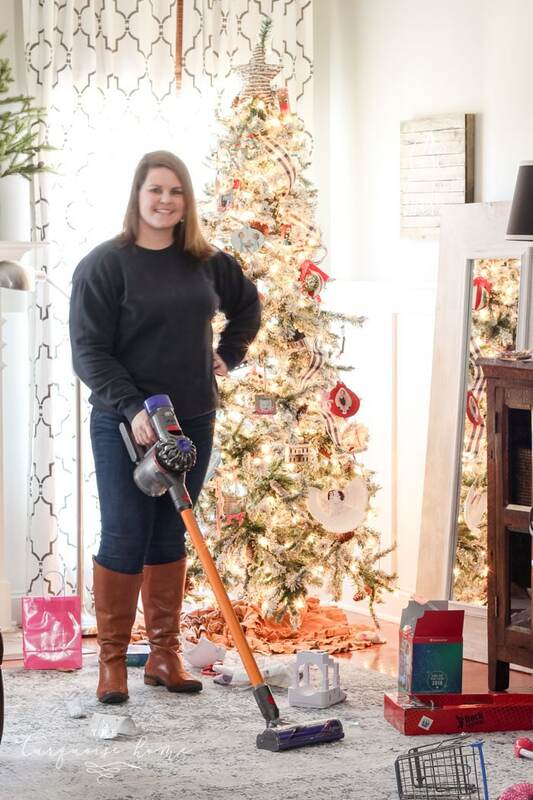 Do you know someone who loves farmhouse decor and you want to buy them the perfect gift this year? Look no further! I have everything you could possibly want for your farmhouse girl right here in one spot. And if YOU are the one who loves all things farmhouse, break out your list, cause you’re gonna want to write this down! 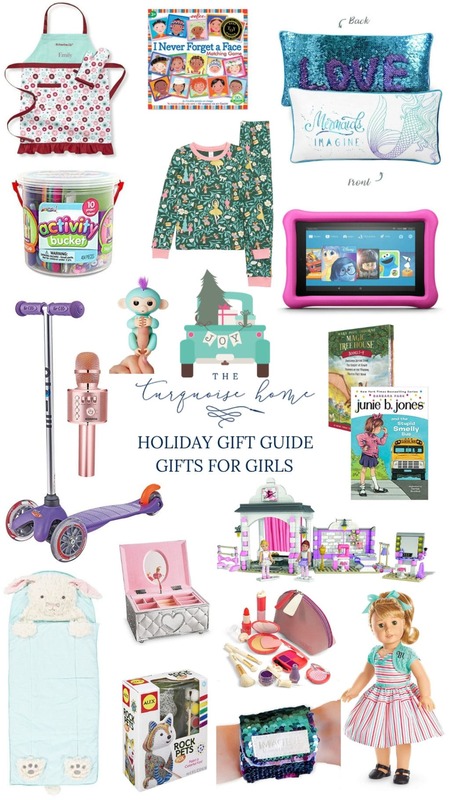 I’m downright giddy about sharing this gift guide with you, because I love all of it! And I actually have all of this in my home, so you know it’s the good stuff. 😊 I even have some fashion for you, which is not my normal gig. But I’ve really gotten into buying some new staples for my wardrobe and sprucing things up, so I’m excited to share! This post contains affiliate links for your convenience. See my full disclosure policy here. 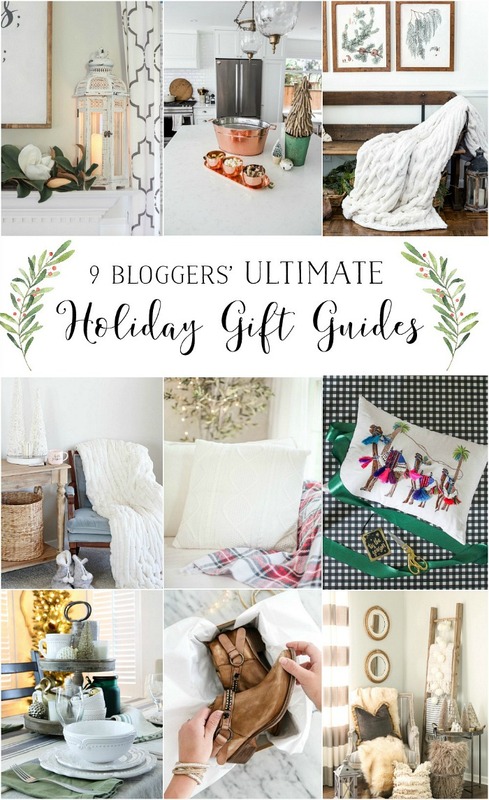 I also have 8 awesome friends sharing their own ultimate gift guides at the end, so be sure to stick around to see what they recommend! 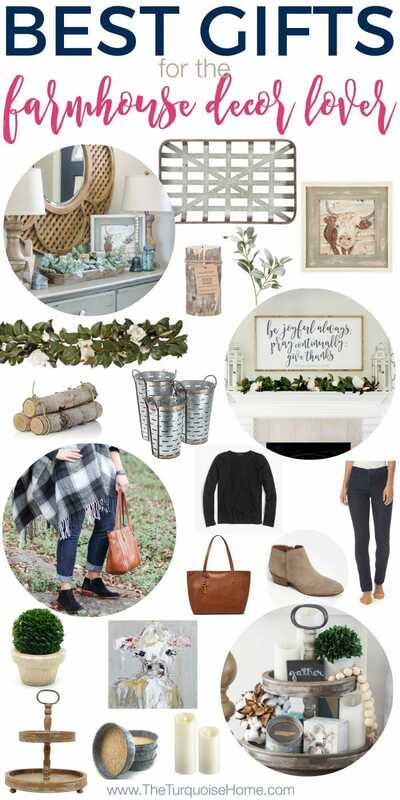 This look is my favorite because I love the casual, farmhouse vibe. To me, it says that in this home we do authentic, real and messy. 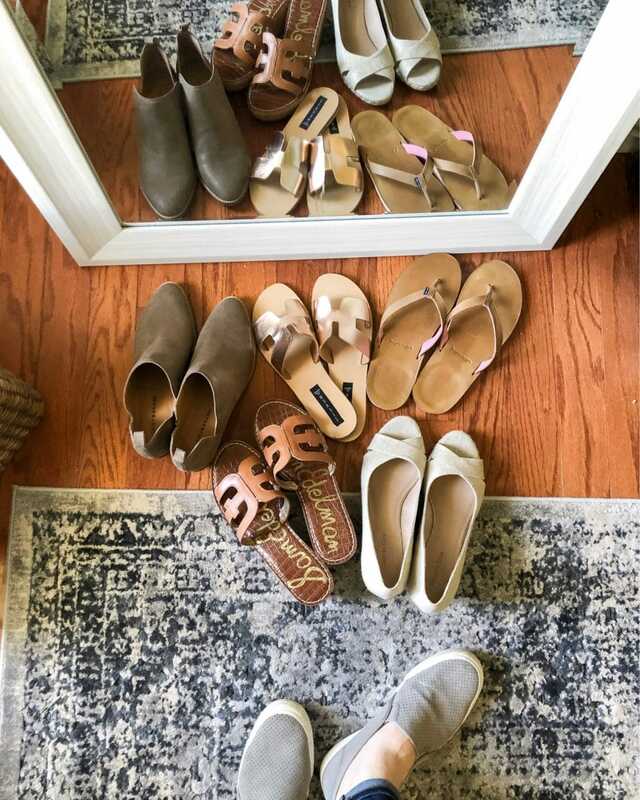 We’re not pretentious or too fancy, but a take-off-our-shoes kind of family. Most of the items in this set up are from Kirkland’s and I am obsessed with their new American Artists collection featuring paintings from different artists. 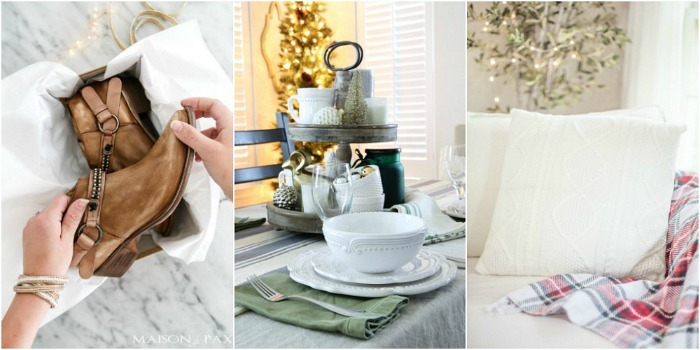 Any of them would be so perfect for the farmhouse decor lover. This outfit right here is a go-to fall or winter outfit for a farmhouse girl. These are closet staples, as in you could build an entire wardrobe around these pieces. 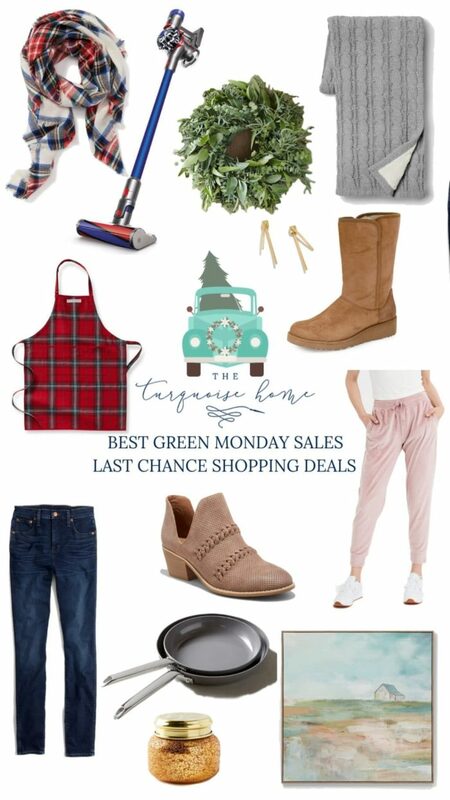 So, if you or the recipient of your gift is in need of something new in the wardrobe, you will not go wrong here! 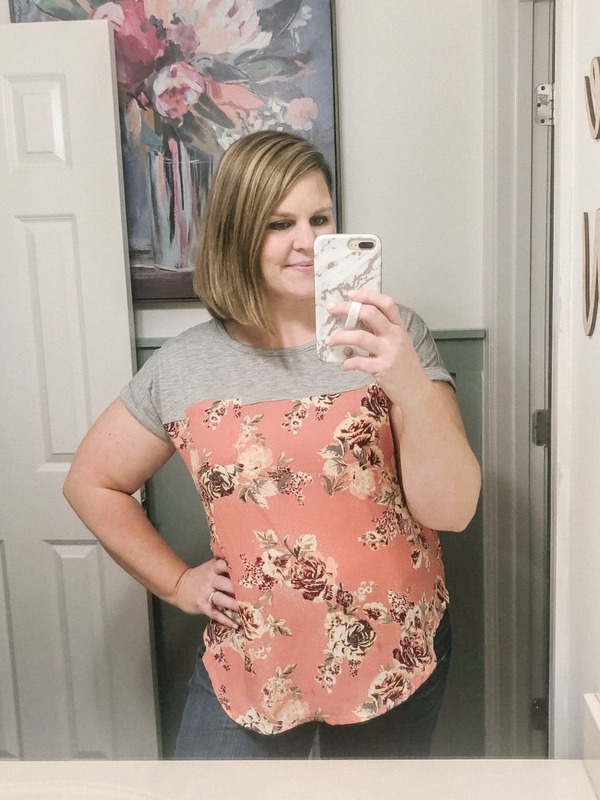 If you want the quintessential farmhouse outfit that is comfy and put together, then this is it! Full of staples for any and all body types. Grab one of each! 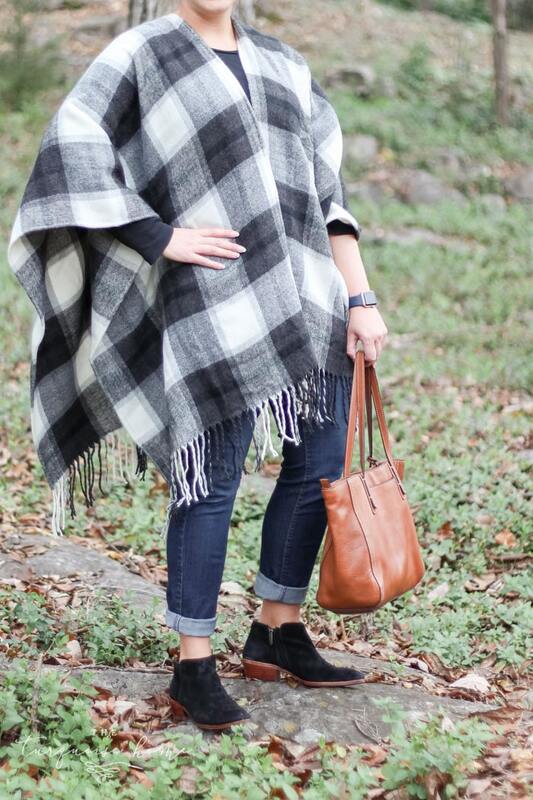 The Checkmate Poncho :: This is the softest, coziest blanket that functions as a poncho. 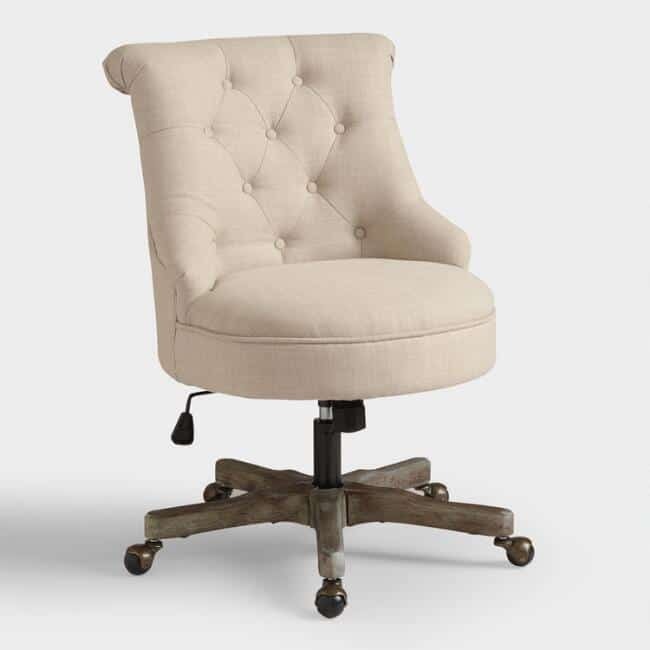 It’s perfect for running errands, a football game or our favorite, shopping for farmhouse decor! And if black and white buffalo check doesn’t scream farmhouse, I’m not sure what does! Basic Black Crewneck T :: This is a staple, always and forever in style. The best of the best quality, so they will have this for years to come! Skinny Jeans :: If you don’t own a pair of these you need to run to get a pair now – and get one for your friend while you’re at it. They have built in panels to tuck everything in and make you look an entire size smaller! The Apple Watch :: Classic gift for anyone, farmhouse decor lover, or not – who loves to stay in touch! 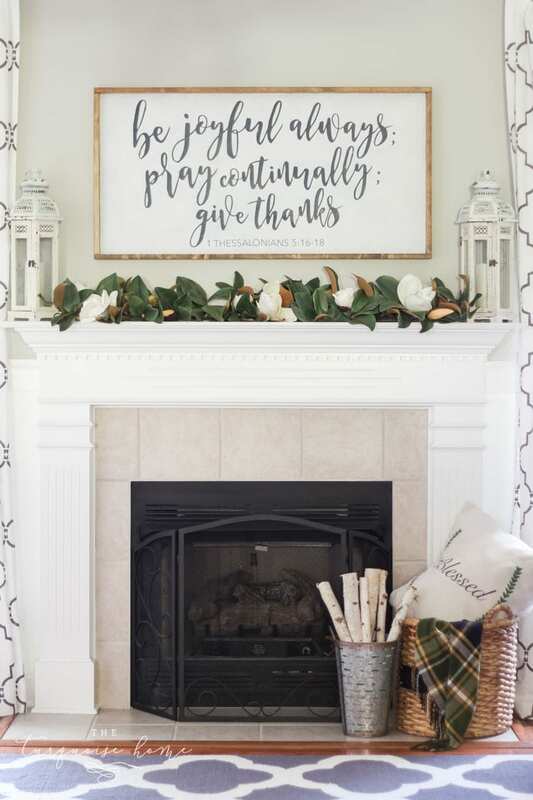 I love the simple, classic southern nod to farmhouse style with a hand-lettered wood sign, magnolia garland, lanterns, a glavanized basket with birch logs and a cozy, plaid throw. 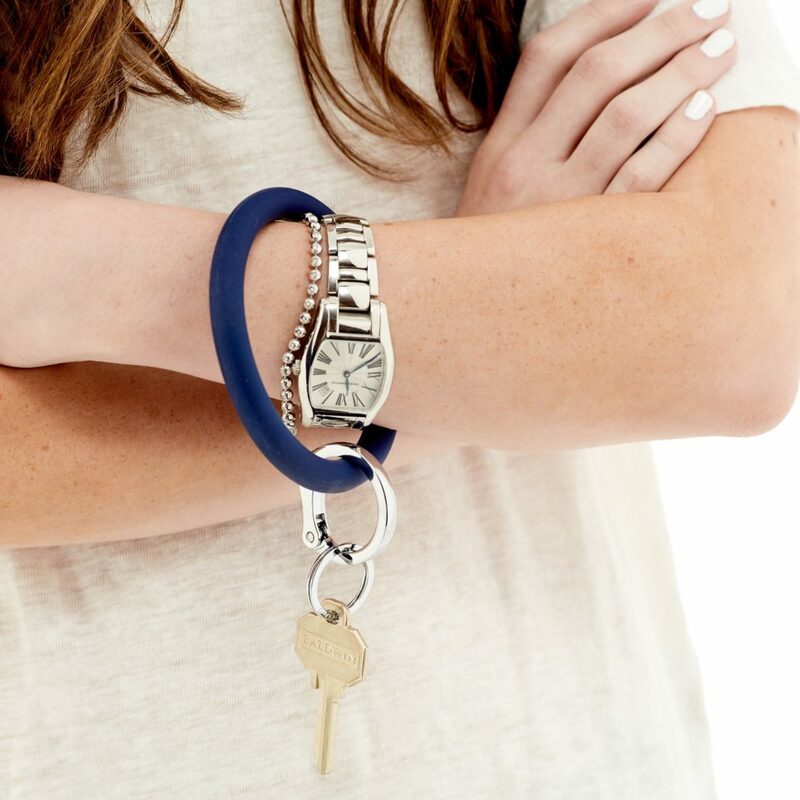 This is more sophisticated than casual for the fancy farmhouse lady in your life. 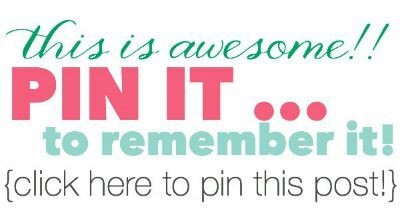 Wooden Sign :: This DIY project actually makes a wonderful gift. I’ve gifted several of these before and the recipient always loves them! 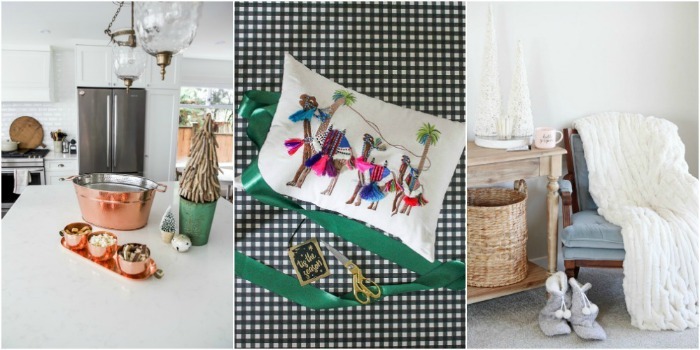 They aren’t easy, so if DIY isn’t your thing, here are some other options for you. Magnolia Garland :: I’ve longingly wanted a magnolia garland for years, and I decided that it was finally time to get one. It just shouts “southern fancy farmhouse” to me! This particular one is the highest quality I’ve ever seen. Gorgeous! 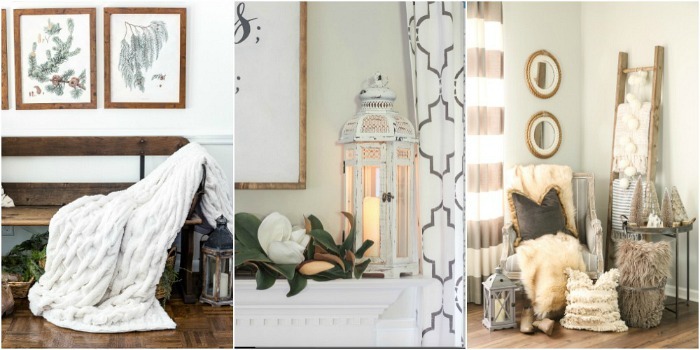 Lanterns :: You can never go wrong with a sturdy set of lanterns. These come with a led lit candle already in them and secured to the lantern, so you don’t have to figure out what kind of candle to buy. It’s all in the set and I love that it gives of a soft, warm glow! 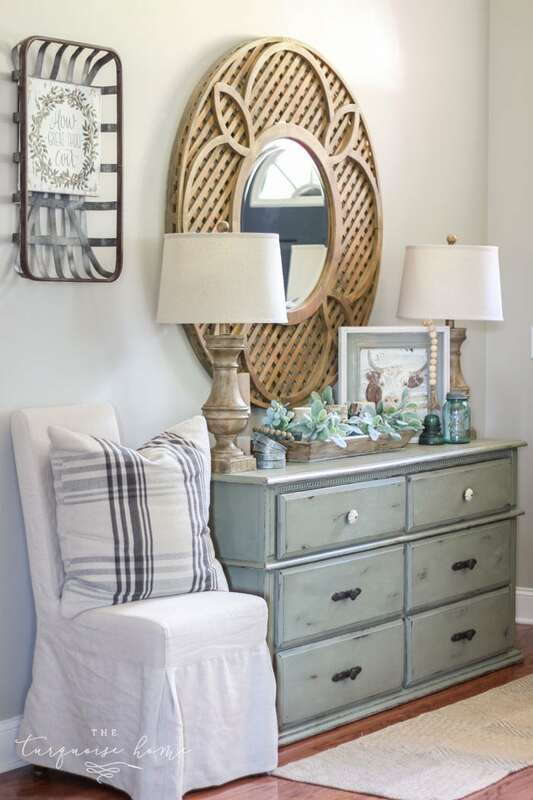 Galvanized Bucket :: What farmhouse look is complete without a galvanized bucket? None, I daresay! Birch Logs :: I love the texture and look of the simple birch logs. Perfect for a farmhouse of any kind! Plaid Throw :: And these plaid throws have been on sale for a while. They aren’t heavy, but they are cozy, soft, and give a great pop of color to a farmhouse glow. I couldn’t leave out my beloved tiered stand and all of the fun trinkets that look so cute on it. 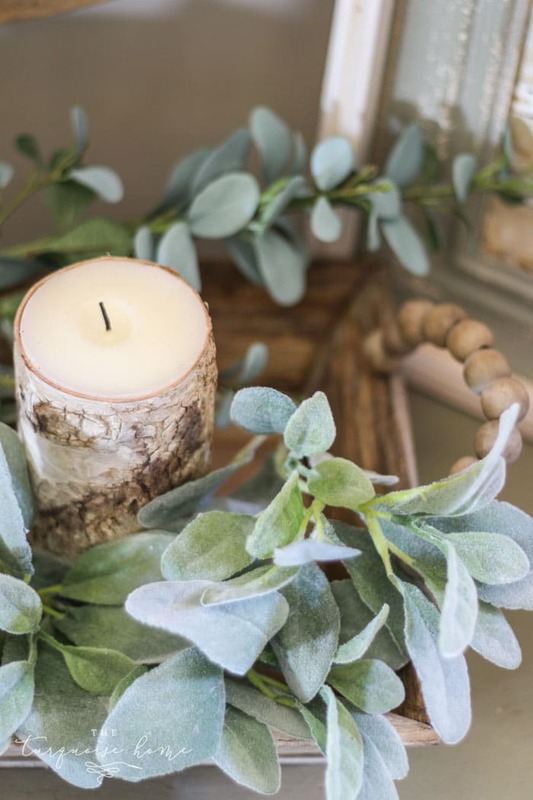 These would make perfect stocking stuffers for the farmhouse decor lover. Boxwood Plant :: I have had this little guy for a long time, but I love being able to display it for a pop of green! They are sure to love the fact that even if you have a black thumb, this will stay alive for years. My exact plant is no longer available, but these are two good options: tall boxwood plant and small boxwood plant. Galvanized Coasters :: I get so many compliments on these mason jar lid coasters. And they work great and you can find them with all kinds of personalized sayings on them. Super cute for a stocking gift! Mini Chalkboards :: These cute little chalkboards make great accents around the home and would be a cute stocking stuffer. Add a chalk marker, too! Wooden Bead Garland :: You can DIY this wooden bead garland with my simple tutorial here, or buy one in a variety of colors and features. I love them all!! Cow Painting :: This one is a personal favorite, so I know you’re person would just LOVE one of these, too! They are from a local shop here in Huntsville. You can purchase some of the artist’s artwork here. But you can always follow Laurel Browning on Instagram and check out her Etsy shop! 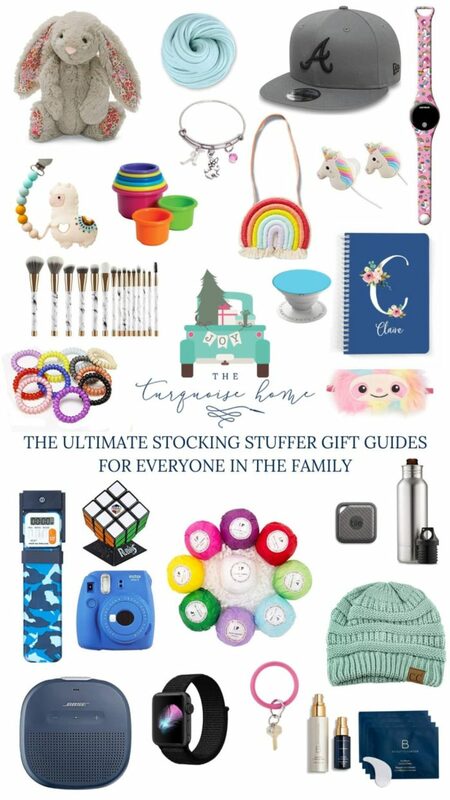 Disclosure: Thank you to Soft Surroundings and Kirkland’s for providing products and/or compensation for this gift guide. As always, opinions are 100% my own and I only chose products I think make awesome gifts! Wonderful look of the room you posted. I love it! Thank you for sharing this lovely post with us. 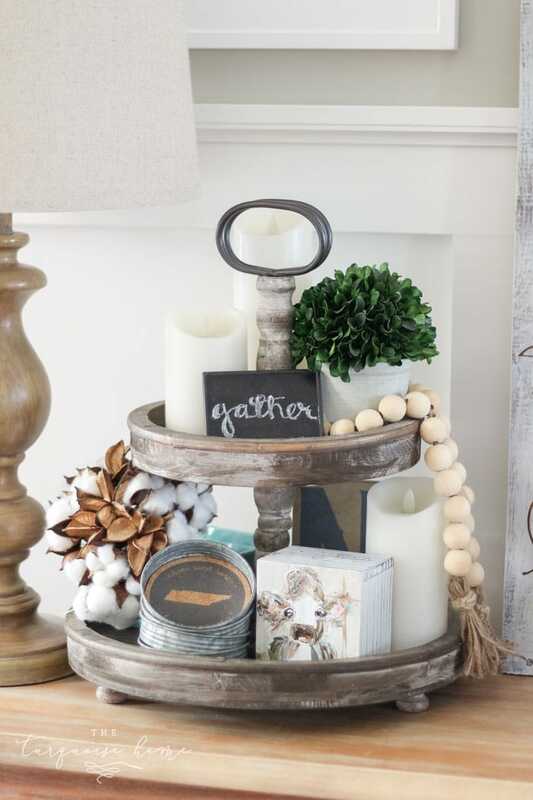 Hey Laura, Thanks for sharing such an awesome farmhouse decor gift ideas now I will never be short of ideas for a housewarming party. Fabulous post! 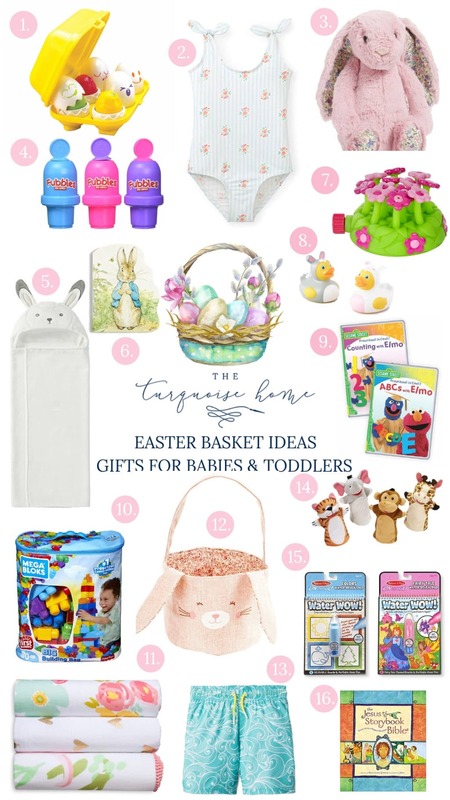 So many great ideas for my family. Thanks!